Wait, another Democrat about-face, today it was announced that President Barack Obama’s big speech on Thursday night will move from the vast Bank of America stadium to the much-smaller Time Warner indoor arena. That is a crowd downsized by 50K, with the forecast for Charlotte on Thursday staying the same, a 40 per cent chance of rain with only the possibility of thunderstorms: ‘Overcast with a chance of a thunderstorm and a chance of rain..Chance of rain 40% with rainfall amounts near 4.8 mm possible.’ The chances of rain in the evening drop to 30 per cent. With Obama’s speech moved indoors, there will likely be thousands of disappointed fans. 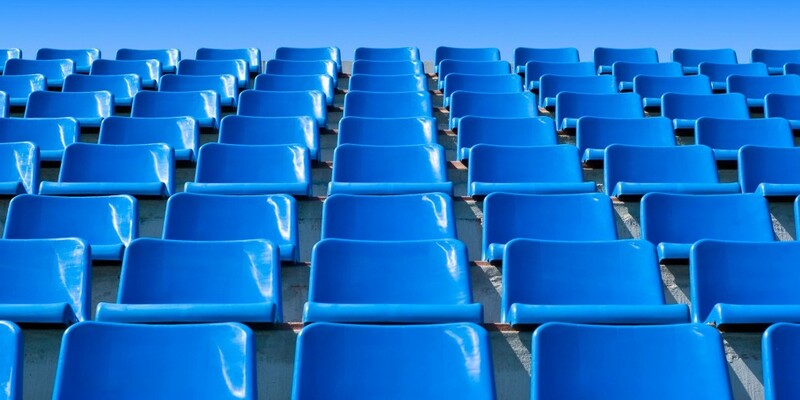 However, with enthusiasm surrounding the Obama campaign seemingly diminishing, there have been concerns that the stadium could even be filled. 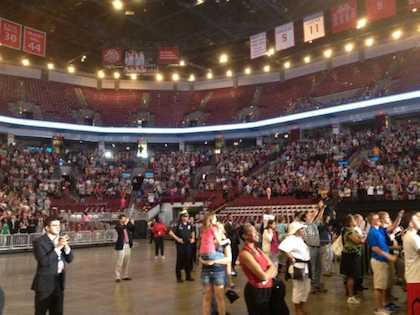 This in nothing new for the “Forward” 2012 campaign, when Barack Obama launched his re-election at Ohio State University on Karl Marx’s birthday it was to a stadium full of mostly empty seats. COME ON MAN! Recent polls show that Republican voters are far more enthusiastic about the upcoming election than Democrats. Figures show almost 2/3 of Republicans describe themselves as either extremely enthusiastic, or very enthusiastic, about voting out Obama in 2012. What is important about this is at the same time Democratic enthusiasm is dropping. Only 21 percent of Democrats say they are extremely enthusiastic about voting, and 22 percent described themselves as very enthusiastic about voting. 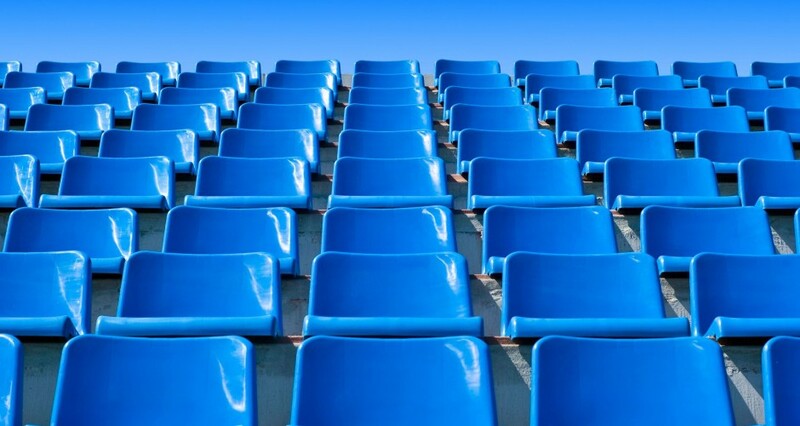 The real reason Obama’s speech was moved indoors was because they couldn’t have thousands of empty seats broadcast into households across America. Traditionally, Democrats have been very good at motivating their people to turn out and vote, but if Democratic enthusiasm wanes a good number just may stay home or vote for the economy, not ideology. When that happens, President Obama’s tenure will come to an end in January, 2013. I hope this is a good omen for our side. Thought I’d let you know I added your blog to my blogroll.